Transform mature skin with SkinCeuticals Resveratrol B E, an antioxidant night serum that protects skin while addressing signs of aging to inspire a brighter, younger-looking canvas. The first of its kind, the innovative solution synergizes a concentration of 1% pure, stable Resveratrol with antioxidant enhancing 0.5% baicalin and 1% pure Vitamin E to encourage optimized anti-aging action. 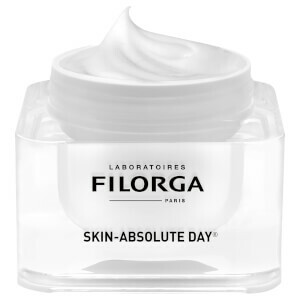 The patented formula expertly protects against external aggressors, and diminishes the appearance of signs of aging to leave the complexion looking smoother and firmer with improved density. Supporting skin's natural defenses while you sleep, the night concentrate will promote visible radiance and firmness in aging skin. Ideal for normal, dry and combination skin types. This cream is really nice and feels good to apply. I'm not exactly sure what it is supposed to be doing and haven't noticed a difference in my skin. It's still a nice serum, though! I really like all of the skinceuticals products; this is new for me however I like the consistency and the ingredients so worth the price. I use Reservatrol B&E every night. My face feels clean and smooth. 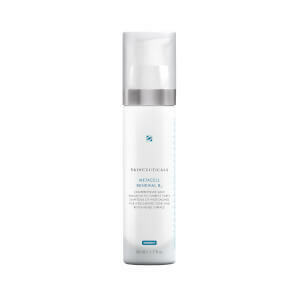 The SkinCeuticals Resveratrol B E is a great product. It has worked for me and I would recommend this product to every woman of any age. This product glides onto the skin and makes it feel soft and silky. It makes your skin look firmer and tighter. Can't say enough good things about this product. Easy to use for night time. Can't see a difference yet but may be too early to tell, but I will keep using the product. I have used Cold Plasma for about 6 months but decided to give SkinCeuticals Resveratrol B E a try due to it's good reviews. While this product does have a better fragrance, it does not perform nearly as well as the Cold Plasma. I'm switching back. I'm looking for results not a pleasant smelling face treatment. 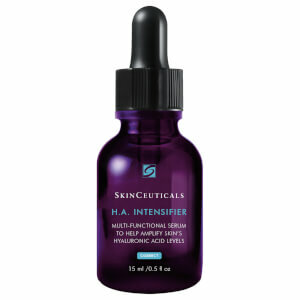 Before bedtime, I put on my retinol and then one pump of the Skinceuticals Resveratol B E. Great combination!! My skin is glowing, firm and smooth in the morning!!! For night use, this is a great product. 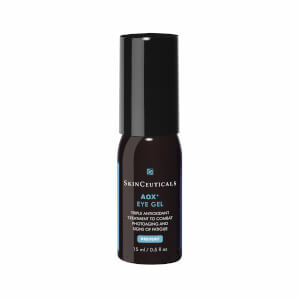 I have been using it at night right after cleansing & toning, and follow it with Skinceuticals Renew Overnight Oily. My skin feels great after using the Resveratrol BE, and the next morning after using this regime, my (nearly 55 year old) face looks radiant. My fine lines seem less noticeable. I've been using it for a little over a week, and just had a couple of very small blemishes appear. I don't know if it's because my body is throwing out the impurities in my skin due to the new product, or if it's due to my addition of a sunscreen product. I'm very fair and a natural strawberry blonde. In the past I've had skin cancer on my face, and my dermatologist told me to use a moisturizer with SPF 30. When I've tried to use products like that, my skin has broken out horribly, so I started using a night crme during the day, with no SPF and just try to stay out of the sun. 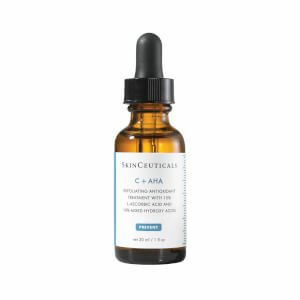 I know that sunscreen needs to be used and especially now that I'm using the CE Ferulic in the morning. So I'm trying to reincorporate the SPF 30 (on TOP of my moisturizer which has no SPF) as the last thing before applying my foundation. This may be the culprit that has caused a couple of small blemishes. I do intend to keep using it and see what happens. These blemishes were so tiny as to be unnoticeable other than to me, and in the past the moisturizers that included SPF in their formulations caused me to have huge cystic blemishes. These are nothing compared to those! All in all, I love the Resveratrol product and highly recommend! Why is it better? Because Resveratrol can actually promote collagen synthesis and doesn't oxidize like crazy how L-Ascorbic acid does. By the time you get your CE Ferulic and most other liquid L-Ascorbic acids, the stuff has already oxidized to a degree. It should be clear if it hasn't been oxidized yet! Its usually a shade of yellow by the time you get it and then turns brown.If you are applying oxidized CE Ferulic to your face you are also applying free radicals to your face. Leading to further inflammation, damage, and definitely a decrease in collagen production. You may get some UV protection from it, but its not going to boost any collagen.For the price, there are better options that protect and boost collagen! Don't get hung up on a name brand, because they sometimes rest on their laurels once they have a big following going.That being said, their new Resveratrol BE is a very good product. Its a very potent Anti-oxidant that is less prone to oxidation and is also being protected by the vitamin E in it for preservation.This stuff shrinks your pores, has evened out my skin tone after a few weeks, and after using it a month, I have noticed the fine lines around the side of my eyes fading to almost nothing!For the money, I would go with this Skin Ceuticals Resveratrol BE over their CE Ferulic any day. You wont have to worry about sticking it into the refrigerator either to slow down oxidation. To me the best vitamin C form, bar none, is the Tetrahexyldecyl Ascorbate. It has an 18 month shelf life from the dreaded oxidation, it penetrates deep, and binds in with the lower lipid layer in the skin so it can do its work.Also, some people are resistant to attaining the collagen synthesis benefits of the L-Ascorbic form of vitamin C for some reason. Those same people have achieved the collagen synthesis benefit, from the THD form of C. It is also much less aggravating to the skin compared to L-Ascorbic acid.All I am saying is, after much personal trial & error, money spent, and research done, there are better Vitamin C serums out there for UV protection AND the boosting of Collagen Synthesis. Do your homework first, before spending the money on a hyped product.Rant over!, The SC Resveratrol serum is a great product. To me it is similar to the Premier Cru Caudalie line, but has a highly potent concentration of the vital Resveratrol ingredient in the SkinCeuticals product.